Edel Regan Architects, located in Cork, Ireland, is a design led practice whose key values are to provide the customer with creative solutions and services of the highest quality. The principal architect Edel Regan has over 20 years of national and international architectural experience. Pre-planning meetings with local authorities. Domestic interior design in association with interior design consultant. Commercial interior design in association with interior design consultant. Site meetings, visits & project management throughout construction phases. Issuing of Interim, practical completion & completion certification. Landscape design in association with landscape design consultant. Sustainable design in association with sustainable design consultants. 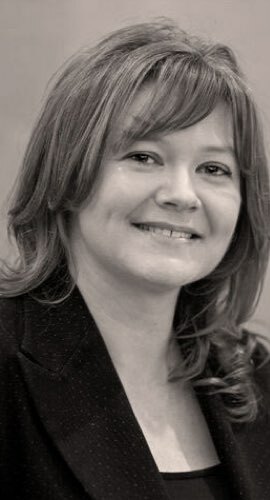 Edel Regan is a Senior Architect who has over 20 years’ experience and is an Award Winning Architect in a number of projects, such as Mixed Use Development’s beating one of Ireland’s Top firms . Edel has also broad experience in Master Planning projects in Boston in the US. She received first place in Trinity College Dublin in Architecture and became a member of the RIAI in record time. She describes herself as a highly Conceptual Design Architect and is also very detailed orientated. 1985: First class honours degree from D.I.T. and Trinity College, Dublin. B. Arch Honours. Designs published in R.I.A.I. magazine. 1984 “Design of old persons home”. 1987: R.I.A.I. Membership. (Membership number: 88021). 1987: Won architectural competition in London for the design of an integrated housing and marina scheme. 1990 – 1993: Akira Yamashita Architects and Land Planners. Worked on award winning projects in Boston, USA with Harvard and MIT graduates on large scale mixed use developments for Japanese sites. 1993 – 1997: Finegold Alexander & Associates Architects and Land Planners.Worked on award winning projects such as academic and religious institutions including Vassar College, in New York, Newbury port Library, Boston, Union station in Worchester, Boston and Temple Emanuel synagogue in Newton Wellesley, Boston, USA. 2001: Worked as site Architect on R.I.A.I. award winning secondary school project in Co Kerry while working with O’Riordan Staehli Architects. 2007: Won first place in an Architectural Professional competition for a mixed-use development in Dingle, Co Kerry. 1980 – 1985: B. Arch Sc (First honours) Architecture school, DIT and Trinity College, Dublin. 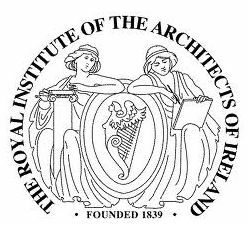 1985-1987: Royal institute of Architects of Ireland. Membership exams. (Membership number: 88021). 2012 -2013: Degree Certificate L7: Major Environmental and Energy Engineering. 2014: Revit Courses in L.I.T. and St Johns College. (Merit). 2014: Certificate in Energy Efficient Building Systems from Kompetenz Zentrum Holzbau & Ausbau, Biberach, Germany. Principal Architect and owner of Edel Regan Architects, Cork. Ability to liaise with clients, planners, consultants and contractors. Track record in achieving successful planning for a wide range of projects including large scale mixed use developments. Houses, Apartments, a crèche and renovation of an existing mill in Crookstown, Co Cork. 40 houses and 20 apartments. Housing Development in, Co Cork: 130 houses including detached, semidetached, terraced houses, a crèche and a community centre. Housing Development in Roscarberry, West Cork: 30 houses including detached, semidetached and terraced houses. 8 Apartments in Carrigthowill, Co Cork. Contract value: €4 million. (Membership number: 88021). 8 detached houses in Fermoy, Co Cork. Contract value approx. €4 million. Design and planning for 38 apartments with retail on ground floor in Passage west Co Cork. Contract value: Approximately €3 million. 2009: First Place in Architectural Competition for a mixed-use development on site in Dingle. A 3-4 storey mixed-use development (7926.79 square meter gross floor area) comprising of commercial units, offices, retail store, restaurant, 6 no. apartments, anchor retail unit, a leisure centre a public courtyard, 202 car parking spaces and landscaping. 2017: Mixed use development. Glanmire, Co Cork. A mixed-use development comprising of retail, medical, office suites, underground parking, residential component and crèche facilities. 2006: Mixed use development in Newtownmountkennedy, Co Wicklow. A mixed-use development comprising of a two-storey library, retail units, medical suites, an underground car park with communal garden above, and apartments. 2007: Mixed use development in Ferrybank, Co Kilkenny. A mixed-use development with apartments, retail, a medical centre, offices and a crèche. Contract Value: € 5.5 million. 2008: Radiology Clinic in Ballinderry, Co Westmeath. Radiology Clinic in Ballinderry, Co Westmeath. Included a radiology unit, laboratories, and a surgical unit. Area: 69,330 sq. ft. development. 2008: Radiology Clinic in Ballally, Dundrum, co Dublin. 2017: Crèche extension for the HSE for existing facilities in Bessboro community centre, Mahon Co Cork. 2009: Design report for the OPW (Office of public works.) for a Garda station in Fermoy, Co Cork. Total area: 2319 sq. metres. 2009: Feasibility Study for an urban block in the docklands Cork city. Including cinema, theatre, restaurants, cafes, retail, hotel and offices. Infill project in Ballycastle, Co Mayo for Ballinglen Art Gallery, Ballycastle. Contact value: € 2 million. 2008: Design and planning for health and safety headquarters, Carrigaline, Co Cork. 3 storey offices and car parking. 2009: Car show rooms in Co Cork. Professional Experience while working for other Architectural practices. Temple Emanuel Synagogue, Newtown MA. Contract value: $3 million. Union station, Worchester, USA. Contract Value: $20 million. Large extension to Newbury Port Library, Newbury Port, Boston USA. Contract Value: $2 million. Vassar College, New York. : Renovation and Youth centre. Large scale mixed use developments, including housing, hotels, and conference centres integrated with golf courses with high and low-density units, including water front condominiums and single family houses in Kawage, Sendai, Fukyama and Ossaka in Japan. Examined the full potential of land and produced designs at a macro scale. Early conceptual design skills were utilized for these projects. Urban planning in New York, USA. Integrated large scale projects in Sendai, Japan comprising of golf course, conference centre, a hotel, and a residential component. Magnetic levitated train station in Florida with retail and residential components. University City conference centre in Baltimore, Maryland. Hillside villas, secluded guest accommodation used for executive retreats, integrated with a golf course. Shopping centres in Chicago, and Boston, USA. Yorktown shopping Mall, Chicago, Illinois. Renovation and expansion of existing two storey facilities. Natick Shopping Mall, Natick, Boston, USA. Pharmaceutical Company Le Servier Laboratories, Arklow, Ireland. 1982: R.I.A.I. magazine, “Marine club design”. 1984: R.I.A.I. magazine, “Design of Old Persons Home”. 1997: “Time to stop moving, there’s work to be done”. Irish Times. 1999: “Beyond the hall door” RTE television. 2000: “Beyond the hall door” Annual. 2005: “Sunday Business post” Radiology Clinic, Mullingar. 2006: “Cork’s Leading Business Women” 2006 and 2007. 2007: “Plan” magazine publication: Design of house in Scull, Co Cork. 2009: “Irish Examiner”. Property Section. Design of house in Clonakilty, Co Cork. My creativity has taken many different forms over the years; I have been fortunate enough to pursue my love of painting while also maintaining my architectural practice. My preferred mediums are oil, pastel and watercolours. I bring this artistic flair to all of my architectural design work. My paintings can be viewed here. ©2019 Edel Regan Architects R.I.A.I.. All rights reserved.